The first glimpse of the latest re-boot/re-make/re-imagining of the King Kong mythos we received this past summer looked visually engaging, but was always going to have deliver that something extra to differentiate itself from being just another in a long line of blockbusters that will now be populating theaters from March until August and now, this new official trailer gives us how exactly it stands to do that: John C. Reilly. 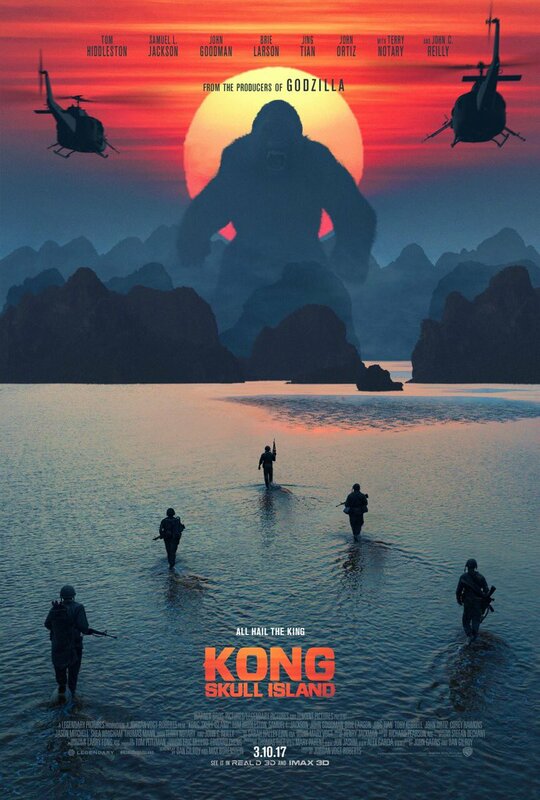 In something of an interesting twist I couldn't have seen coming from a mile away (though I admittedly haven't been following this movie or its production too closely) it seems Reilly will serve as both the audience and a large amount of the ensemble casts way "in" to the world that Kong now dominates. He looks to be an explorer of some kind who became stranded on the island Kong inhabits and more or less took up with the indigenous people. That is, until the likes of a new batch of explorers show up (headed by John Goodman and Straight Outta Compton's Corey Hawkins) to mess things up. Again, director Jordan Vogt-Roberts (The Kings of Summer) has delivered a visually pleasing trailer that contains not only a solid amount of action and spectacle, but through Reilly he has also mixed in a fair amount of humor and so I'm even more interested to see what the director has done as I've probably watched his debut feature a handful of times and think his temprement could play will in the blockbuster arena. That said, Vogt-Roberts has already entered the franchise world as Skull Island is seemingly Warner Bros. and Legendary's attempt to bring King King and Godzilla head to head after establishing the latter in director Gareth Edward's 2014 Godzilla film. No matter the future plans though, I'm excited to see what Vogt-Roberts has in store for us in just a few short months. 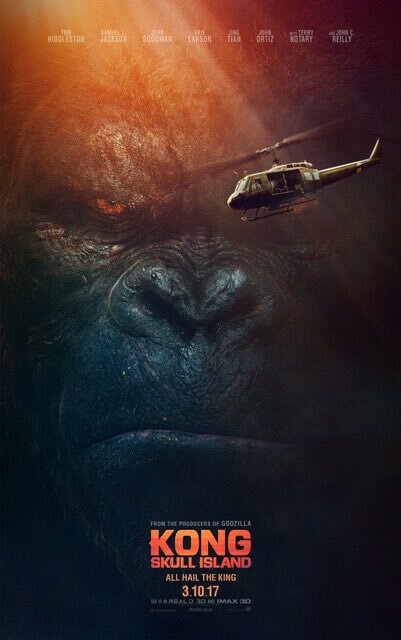 Kong: Skull Island also stars Tom Hiddleston, Brie Larson, Samuel L. Jackson, Tian Jing, Jason Mitchell, John Ortiz, Thomas Mann, Shea Whigham, Toby Kebbell, Eugene Cordero, and opens on March 10, 2017. Synopsis: Warner Bros. Pictures and Legendary Pictures’ “Kong: Skull Island” reimagines the origin of the mythic Kong in a compelling, original adventure from director Jordan Vogt-Roberts (“The Kings of Summer”).